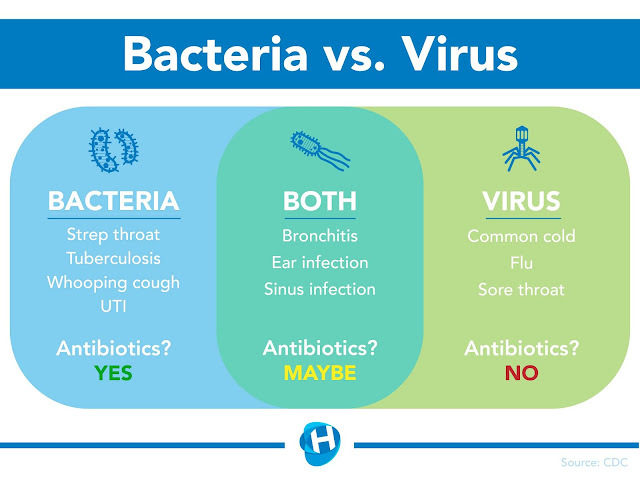 Ever wonder what is the difference between viral and bacterial infections? How do you know which one of them you have when you are sick? Below is a basic graphic from healthymepa.com which shows what can be behind our particular illness. It further shows that our unhealthy condition may unfortunately be a joint force of both bacteria and virus.